An excellent piece by Ehud Barak. What an inspiring and heartening act of valor and kindness! Call them Israel’s American volunteer fire brigade. Dozens of firefighters from across the United States put their lives on hold – leaving behind jobs and families – to help subdue the wildfires that swept Israel over the past week. While they all share a love of Israel, only a handful of them are Jewish. “We’re just firefighters. 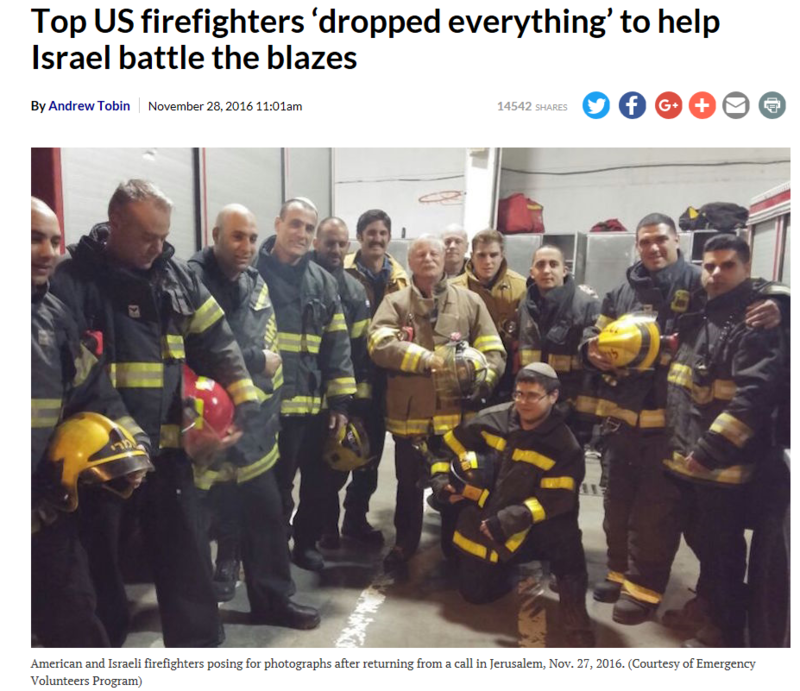 When guys hear about a situation like this one, where the Israelis are working as hard as they can, they want to come help,” said Billy Hirth, a Protestant who retired last year after a 24-year career as a firefighter in Arlington, Texas, and has been coordinating the American effort from Jerusalem. “It’s a brotherhood. Firemen are firemen,” he said. 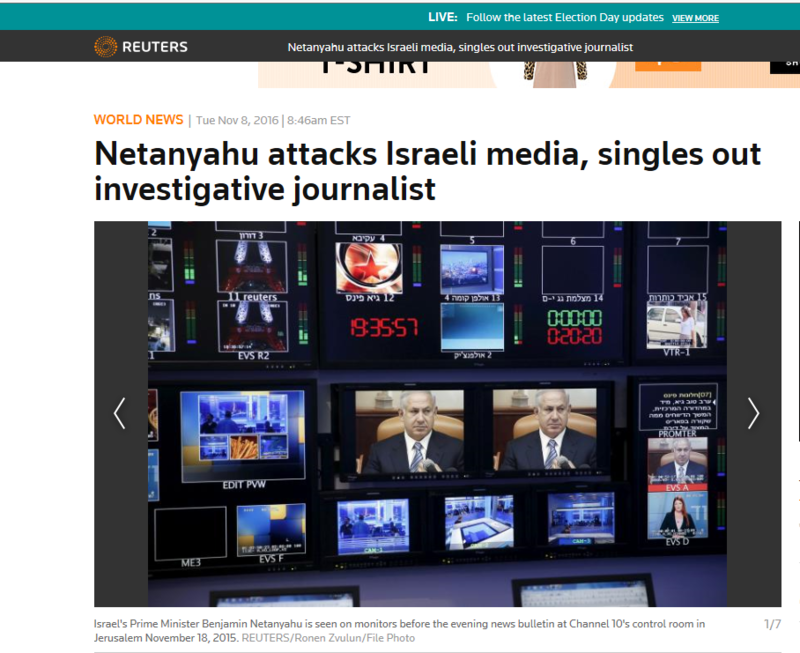 Prime Minister Benjamin Netanyahu delivered an unprecedented vilification of the Israeli media on Monday, accusing a leading television journalist of being part of a plot to bring down his right-wing government. 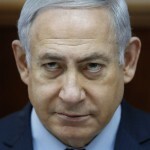 After declining to be interviewed by Channel Two anchorwoman Ilana Dayan for a piece investigating the workings of his administration and the role his wife plays in appointing officials, Netanyahu’s office sent a written statement. Dayan read it in its entirety on air, taking six minutes to deliver the tirade against her as she stood in front of the prime minister’s office. 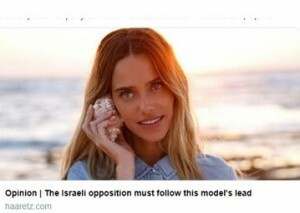 “It is time to peel the mask off the face of Ilana Dayan, who has shown once more that she has no professional integrity,” the statement said. Unlike other Jews who succeeded him in power, Peres always knew that to be a Jew also meant to be universal and moral; to be on the correct, enlightened side of history. True, he founded Israel Aircraft Industries (1953), made the decision about the Entebbe Operation (1976), saved Israel from hyperinflation (1985) and got the army out of most of Lebanon (1985). 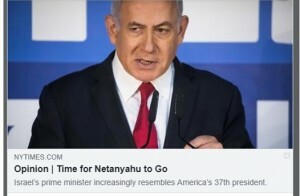 He tried the London agreement (1987) led the Oslo process (1993), and succeeded in turning himself from a controversial politician into a beloved president (2007). But the real contribution Shimon Peres made to the Jewish state was the amazing work he did in Paris in the mid-1950s that led to the construction of the nuclear reactor in Dimona. Against powerful counterforces, David Ben-Gurion’s sorcerer’s apprentice succeeded in spreading the strategic security net that assured Israel’s existence. Against all odds, the 34-year-old kibbutznik erected above us that invisible glass dome that allows us to lead almost sane lives in this crazy place. But Peres was never really a kibbutznik. He was a child of the Jewish Diaspora who arrived from Europe before the disaster to the Ben Shemen Youth Village and tried all his life to become an Israeli. He was the beloved grandson of the grandfather killed in the Holocaust, and all his life he tried to flee the past into the future.